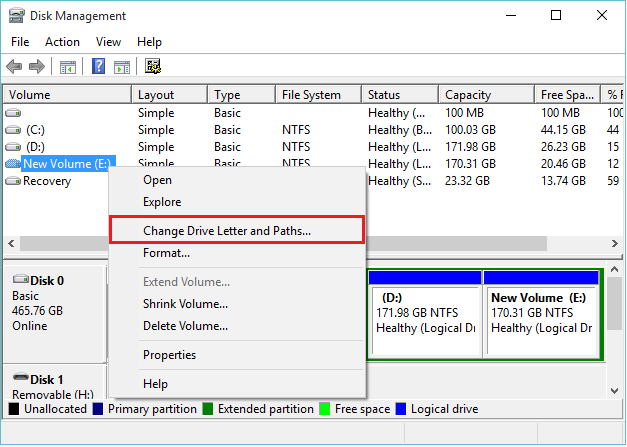 In our PC’s/Laptops, the Hard Disk can be partitioned in such a way that users can save their different genres of files and folders in different drives. These drives are local disk drives. They are generally named as Local Disk (C:), Local Disk (D:), Local Disk (E:) and so on. Basically, there are two types of files stored in these Local Drives. They are System files and User files. System Files are those files which represent the Operating System. They are self-created by the OS. Any modification of these files can lead to corruption of the system. On the other hand, User files are those files which are created by the user. They can be easily modified. All 3rd party Softwares (i.e. Application Softwares) use system files to generate user files. Right click on the “Start” icon positioned at the lower left corner of your screen. 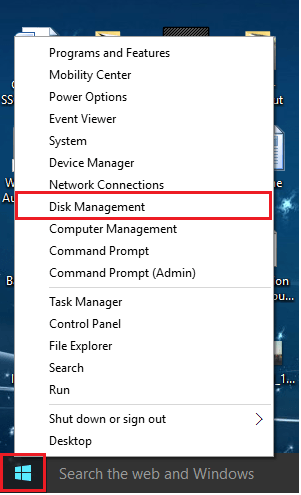 Click on “Disk Management” to open Disk Management Settings Window. Note: Depending upon the speed of your computer, it may take a few seconds to open the Disk Management Settings Window. 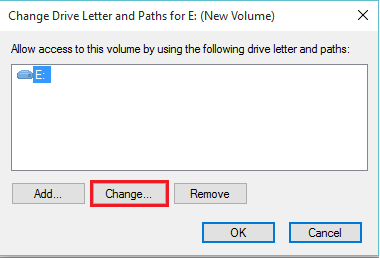 Under the “Volume” section, right click on any hard drive and click on “Change Drive Letter and Paths”. For instance, right click on “New Volume (E:) and click on the same. 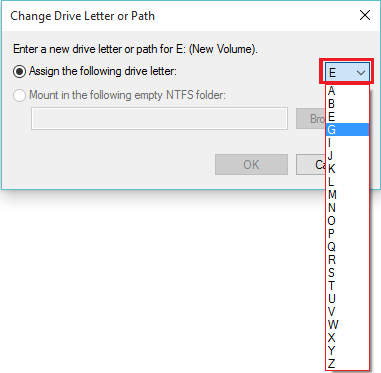 Click on “Change” to allow the name and path changes to be made on this drive. Now, you can drop down the letters list to choose a new driver letter amongst the list of letters available. After selecting the desired choice, click on “OK”. A warning window will be displayed on the screen saying that “some programs that rely on drive letters might not run correctly. Do you want to continue?” Click “Yes” to accept the driver letter and path changes.